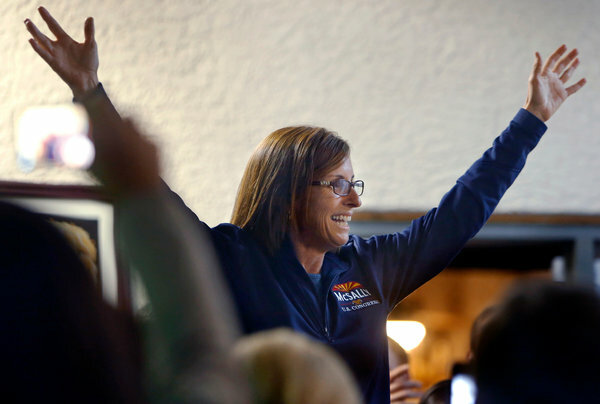 Republican Martha McSally beat incumbent Ron Barber on Wednesday after a recount to take over Arizona’s 2nd Congressional District. McSally, a retired Air Force colonel who flew A-10s over Iraq and Kuwait, picked up six more votes to give her a 167 votes victory, according to RollCall. McSally joins the coalition of congressional members — which include Sens. John McCain, R-Ariz., and Kelly Ayotte, R-N.H. — rallying to preserve the A-10. McSally criticized Barber during the race saying he “was asleep at the switch while the obvious threat of the A-10 retirement grew on his watch,” according to the Arizona Daily Star. “He has since been working overtime to convince the media and community that he is leading the effort to save the A-10,” McSally said. Barber still petitioned against the A-10s retirement, most notably with Ayotte during an event Nov. 13 on Capitol Hill. Luckily for all, Congress passed the National Defense Authorization Act on Dec. 12. The NDAA forbids the close air support aircraft’s retirement – however, the compromise measure allows the Air Force to reduce maintenance and flying time for the Warthogs to save money. McSally will also serve on the House Armed Services and Homeland Security Committees.